It is also an excellent biography which gives substance to the legendary and mythical James, examining his wandering existence as an infamous outlaw; his charming, enigmatic, paranoid and temperamental nature; the crippling depression which plagued him in the later stages of his life; and the infamy that would eventually cost him his life, and continue to haunt him after his death. 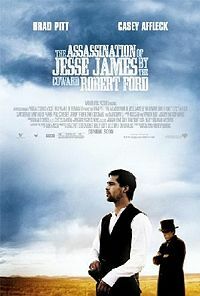 The majority of the film is set between the years of 1881-1882, and sees Jesse James (Brad Pitt) assemble a new gang of outlaws, which includes Robert Ford (Casey Affleck), the youngest and weakest of the group who is constantly taunted and belittled by everyone including Jesse, who he considered his idol. When Jesse learns that members of his crew have conspired to turn him in for a handsome reward, he begins to eliminate them one by one. But what Jesse does not know is that Robert – bitter from the hazing he has received from his hero - has planned to become rich and famous by killing the notorious outlaw. The film features pitch perfect performances by its two lead actors. Casey Affleck – who is having a breakthrough year – delivers an astounding turn, inhabiting his character with an eerie vibe, and a slight homosexual undercurrent which is felt when his character watches Jesse bathe, and in various moments when he stares at his idol with dreamy eyes. Brad Pitt - who has a knack for choosing interesting roles – gives a soul wrenching performance as the melancholy gunslinger that oozes confidence on the outside, yet contains a smouldering madness underneath. 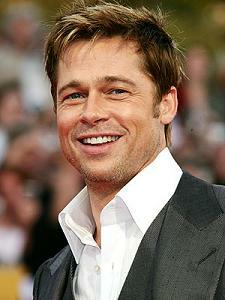 Sam Rockwell is also very good in the supporting role of Charlie Ford. Equal praise should also be given to cinematographer Roger Deakins, whose photography brings to mind the work of Terrence Malick. His images are pure poetry in motion, shot with us much natural light as possible magnificently capturing the films occasional winter snow covered setting, vast golden wheat fields and rolling cloud filled skies. Nick Cave and Warren Ellis provide an astounding score filled with infectious, lullaby-esque melodies, and Patricia Norris contributes with simple yet striking costume designs. 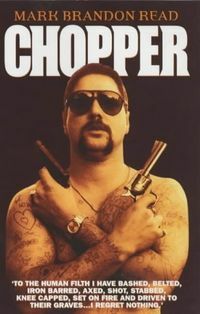 Australian director Andrew Dominik – who left a powerful first impression with 2000’s Chopper – has created an extremely well paced film that does not skip a beat, and manages to absorb the viewer despite its almost 3 hour long running time. It is clear that with every frame shot and with every piece of dialogue spoken that this film was a labour of love for Dominik, and he should be proud with what he has accomplished.